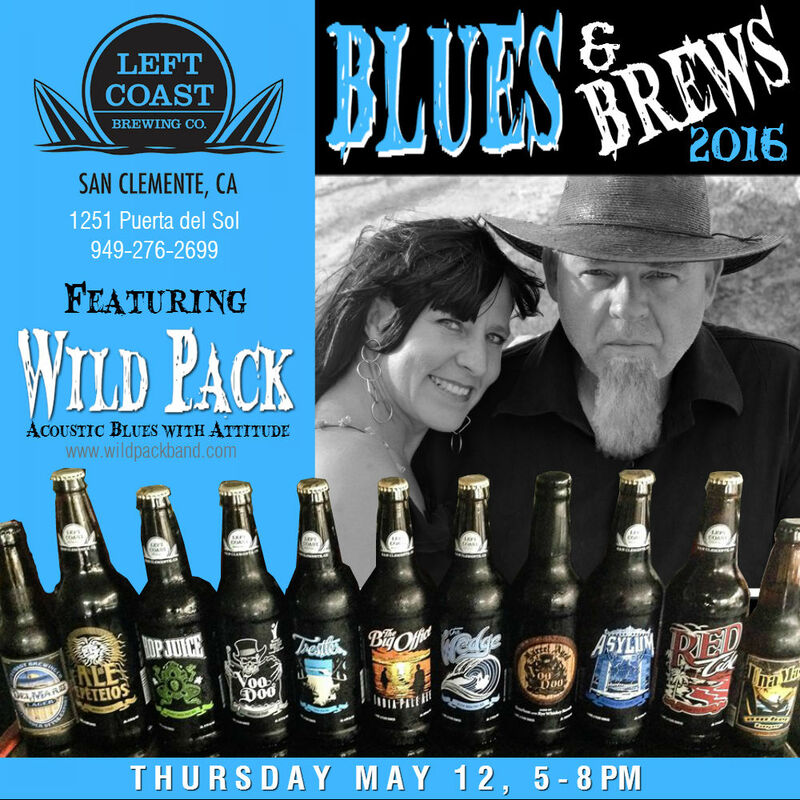 Wild Pack Rocks Left Coast Brewery on Thursday May 12, 2016, for Blues & Brew in San Clemente California. Come on out of 5-8PM at Left Coast Brewery in San Clemente California. Below is the email J. Six Pack sent to Left Coast Brewery - Dec 2015. I wanted to first say WOW! Had a HOP JUICE IPA last night for the first time. Absolutely loved it. I am a big fan of IPA's and yours tops my list. Thanks a bunch for the great job you did on my joy juice. Secondly after tasting your brew I wanted to see what else you did, so I visited your FB page and found your site and all your additional brews. I also noticed the HACKS Smoked Comfort and wanted to run something past you. In May my Blues Rock band Wild Pack starting our summer tour to promote a couple of albums. The tour is starting on the West Coast of Baja then moving up through So Cal. I thought it would be fun to stop by your place for a day and combine Left Coast's fine brews, Hacks' smoked comfort and Wild Pack's blues for a LEFT COAST BLUES, BREWS & BBQ BLAST. Just an idea. In any case, I LOVED HOP JUICE and hope to be able to make it to your tap room one way or another one of these days. I just noticed the note on the side about contacting Kim, I will go ahead and send her this note as well. Take care and thanks mucho!